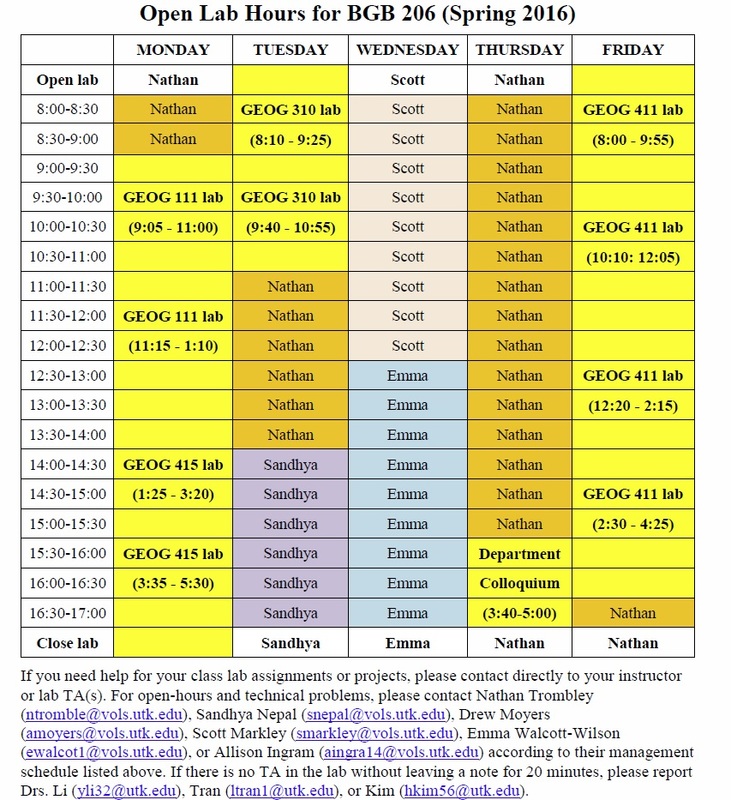 The GIS labs located in BGB 206, BGB 405, and BGB 404 are available for students to work on their GIS and Cartography assignments and projects. 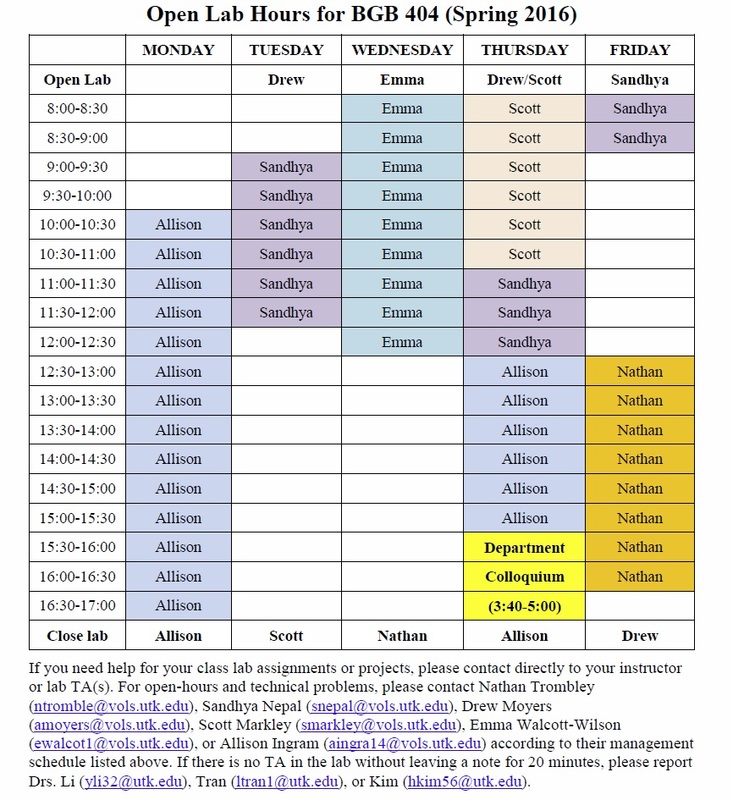 The following tables show the open lab hours for the lab. 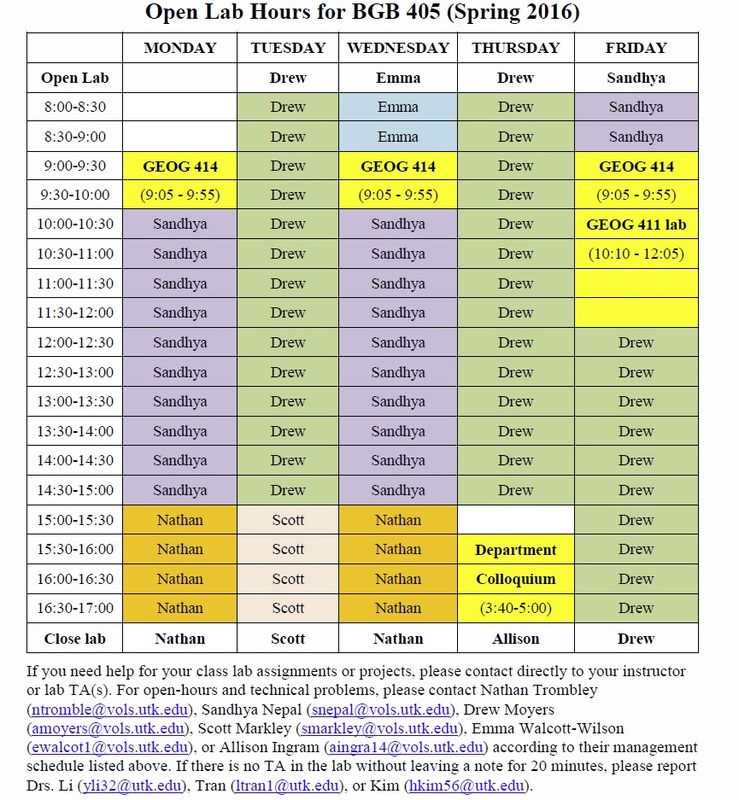 During open lab hours, TAs are available to assist students with their assignments and projects.